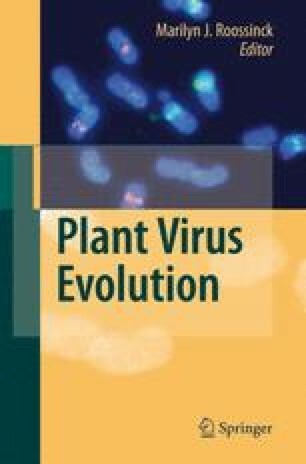 The interest in plant virus evolution can be dated to the late 1920s, when it was shown that plant virus populations were genetically heterogeneous, and that their composition changed according to the experimental conditions. Many important ideas were generated prior to the era of molecular virology, such as the role of hostand vector-associated selection in virus evolution, and also that small populations, gene coadaptation and evolutionary trade-offs could limit the efficiency of selection. The analysis of viral genomes in the 1980s and 1990s established the quasispecieslike structure of their populations and allowed extensive analyses of the relationships among virus strains and species. The concept that virus populations had huge sizes and high rates of adaptive mutations became prevalent in this period, with selection mostly invoked as explaining observed patterns of population structure and evolution. In recent times virus evolution has been coming into line with evolutionary biology, and a more complex scenario has emerged. Population bottlenecks during host colonization, during host-to-host transmission or during host population fluctuations may result in smaller population sizes, and genetic drift has been recognized as an important evolutionary factor. Also, particularities of viral genomes such as low levels of neutrality, multifunctionality of coding and encoded sequences or strong epistasis could constrain the plasticity of viral genomes and hinder their response to selection. Exploring the complexities of plant virus evolution will continue to be a challenge for the future, particularly as it affects host, vector and ecosystem dynamics.